The Athanas family has put the city on notice that it is not giving up the former Anthony’s Hawthorne without a fight. In a letter to Mayor Judith Flanagan Kennedy, attorney Theodore Tedeschi deflected the idea that the property — at 380 Washington Street —has sat vacant and the family has made no move to develop or sell the land. Tedeschi pointed to the economy as a primary reason why the property hasn’t been developed. “The economic climate, real estate market generally, possible contamination issues and the location and configuration of the property have made it very difficult to structure a commercially reasonable transaction,” he wrote. He wrote that the Athanas family, which owns the property, has worked independently to try and develop the property. He also wrote that the family has been open to commercially reasonable ideas from the city. Economic Development and Industrial Corporation Director James Cowdell announced last week that he is moving forward with plans to take the property — which has been shuttered since 2003 — by eminent domain. But Cowdell said the family doesn’t have any current plans to develop the property. Cowdell said the Athanases brought in a plan for mixed use development, which the city approved, but they never developed the plan. He said his office also sent that family a buyer with a plan who was willing to pay $860,000 for the property. “The real estate broker couldn’t get a return phone call,” he said. Cowdell said the family isn’t returning phone calls from interested developers and it isn’t following through on developments of its own. “They can’t argue both ways,” he said. Wig Zamore, an advisor to the Athanas family, said he met with the EDIC in August of 2008 armed with three different mixed-use scenarios. He said he believes it is the contaminated parking lot that brought all planning to a halt. The parking lot attached to Anthony’s Hawthorne is on Willow Street across from the Post Office in what was once Whyte’s Laundry, a large dry cleaner and the site of, according to Zamore, a large chemical spill. Cowdell said neither is the city responsible for a spill on private property. Zamore said it would be in the city’s best interest if the spill was cleaned up. The other reason the project hasn’t moved forward is the economy. He said the economy is simply not going to support the construction of large building projects. But Cowdell said $35 million of new development has occurred in the downtown area bringing while the restaurant has sat empty. Tedeschi also took issue with Cowdell comparing Anthony’s to the General Glover property in Swampscott. While Cowdell said the Vinnin Square property had been closed for nearly 20 years, Tedeschi wrote that the property has been continuously used for the family business. 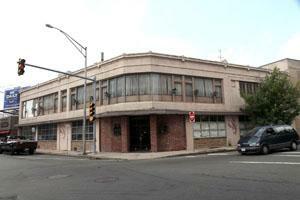 Swampscott Building Inspector Alan Hezekiah said there is truth in both statements. Hezekiah said the Athanas family has been running their business out of a building on the General Glover property, but the restaurant has been closed for more than a decade. Hezekiah said the previous Fire Chief wanted him to condemn the building because it is in such poor shape. He however admitted he hadn’t been inside the restaurant for years. The Swampscott controversy aside, Cowdell said he will still move forward with his plans to take Anthony’s by eminent domain. The pair will have the chance to debate the issue face to face when Cowdell presents his plan to the EDIC board Tuesday at 7 p.m. in the EDIC conference room. Tedeschi said he plans on attending the hearing.